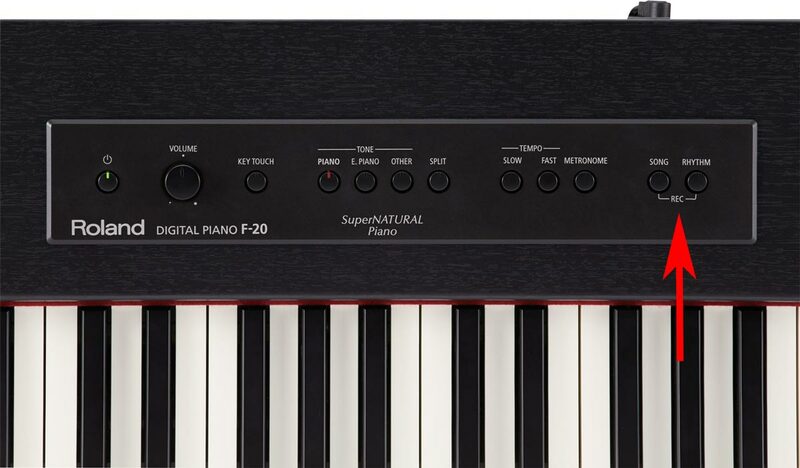 Among the many great advantages of the F-20 Digital Piano is the ability to instantly record music, capturing your performances with the simple touch of a button. Very convenient to use, the recording function provides a multitude of ways to assist in making and learning of music. One of the best things any musician can do to improve is to listen back to their own performances. The experience of listening to your music while playing is much different from sitting back and listening objectively. Recording opens a completely new perspective that helps you analyze your weaknesses, which will lead to quicker improvement. For example, you may think you have a lot of dynamic contrast while playing, but you realize this area could be improved when listening back after the fact. Or you may think you’re executing certain passages smoothly, while playback reveals that you really need some work in these areas. Above all, it’s a great feeling to know that you’re able to produce music on your own, and recording can serve as a reminder that practicing leads to improvement. With just a quick press of two buttons on the F-20 panel, you can start recording instantly. As you grow as a musician, it’s easy to forget how far you’ve come. Recording your music periodically as you learn new pieces is an easy way to create a timeline of your progress. You’ll enjoy listening to your performances from previous years, and you may even find motivation in hearing your improvement over time. Another wonderful benefit of the recording function is how easy it becomes to share your music! 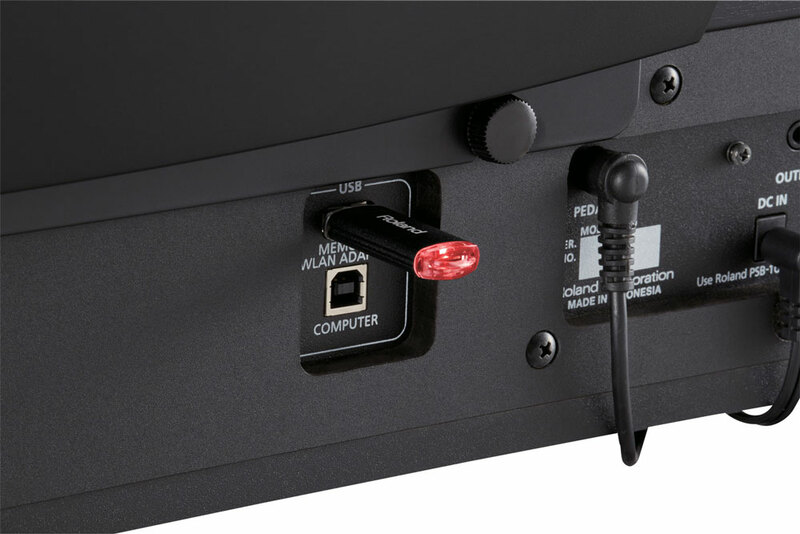 The F-20 has a USB port, which allows you to record your playing directly to removable USB flash memory. After you make a recording, simply plug the USB flash memory into your computer and email your music to friends, post it on your favorite social media sites, or burn a CD for grandma. Using removable USB flash memory with the Roland F-20 makes it easy to share your piano recordings with friends and family. Creativity is a huge part of any musician’s journey, which is why it’s important to incorporate composition into your studies. Even beginning students can create their own simple melodies and songs. The recording function on the F-20 saves songs in the Standard MIDI File (SMF) format, a universal file standard that can be opened in most computer music programs, including those that are used to create notation. With popular software like Sibelius or Finale, you can turn your SMF songs into notated sheet music! It’s a great motivator to see your musical thoughts come to life on paper. 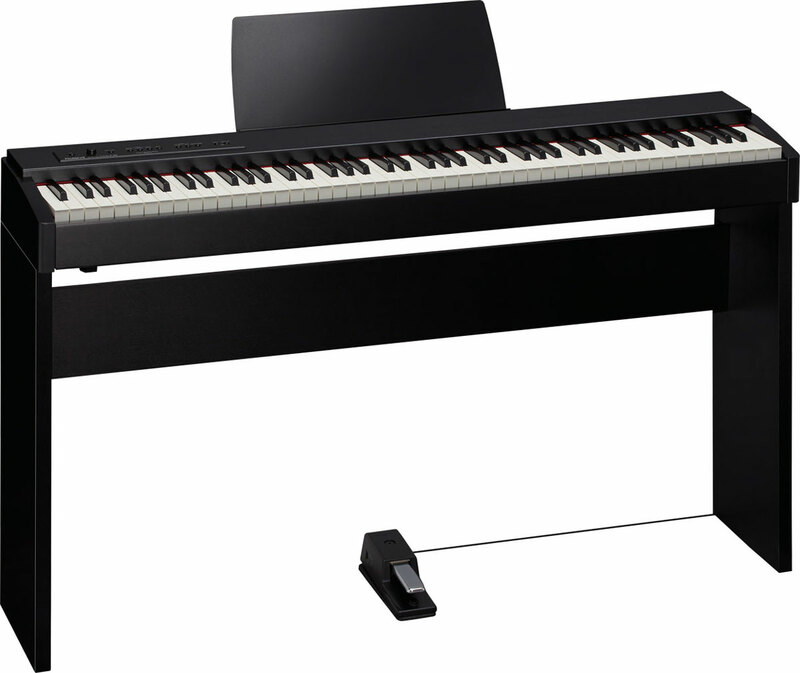 The F-20’s recording function can be used with the piano’s built-in rhythm styles, increasing the fun factor even more. You can call up any desired tone and select a rhythm style before starting the recording. This creates a fully orchestrated background that automatically follows your playing, giving you the opportunity to be the soloist in an ensemble. This makes playing pop and country songs more enjoyable to play, as they will sound more similar to the original versions. In addition to letting you record your music with a virtual band for fun and sharing, it’s also a great way to create accompaniment tracks to your favorite songs and have a karaoke party at home. Whether your piano focus is practice, solo performance, or accompaniment, the F-20’s recording capability provides many ways to enrich your playing and assure your continuing success as a pianist.